We normally stock at least three restored Bechstein grand pianos. 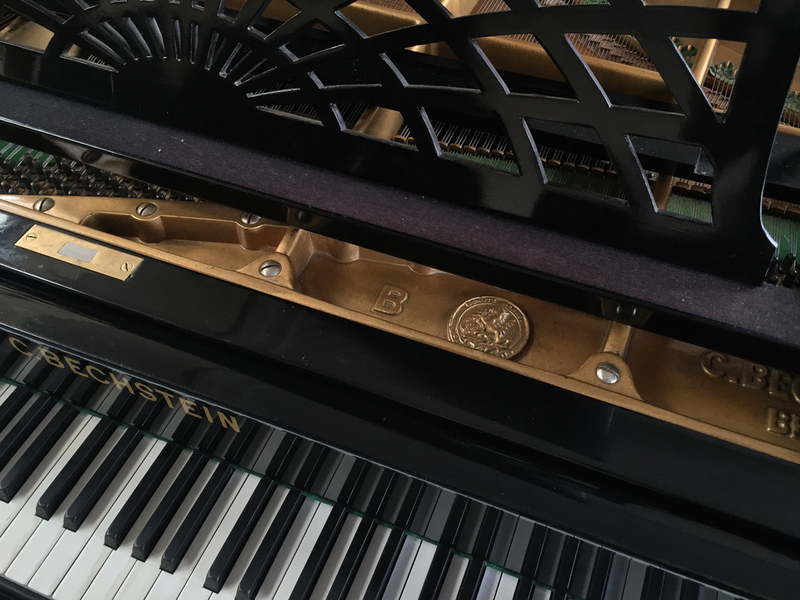 If you’re thinking of buying or restoring a Bechstein grand piano then you’re getting a piano with a fine touch, rich tone and aesthetically pleasing cabinet. The most common colours are black, rosewood, and a few walnut (mainly pre 1900), with post 1920s ones more often mahogany. Modern (post 1960) and new Bechstein pianos are some of the finest pianos made today. Used modern ones are mostly bright black. By far the most common grands are the model A, B and V grands, normally found in black and rosewood. They vary enormously in quality. Reconditioning can also vary widely. On models A and B the frame is often cracked near the tuning pins. This is a mild manufacturing fault and never causes a problem, though restringing should be done with caution, taking great care to equalise the tension across the piano. It is also possible to stitch-weld the frame, though from our experience this only has cosmetic advantage. We carry out this work when restringing. In 1902 Bechstein changed the styles and lengths of all grands made, and 5 new models were introduced as listed above. The models ‘V’ ‘B’ are often confused as they are the same length, the ‘V’, like all earlier grands always had a ‘fish-tail’ style cabinet, whereas the ‘B’ – built after 1902 – did not. During the 1920s demand increased for smaller grands, and in common with most other manufacturers, Bechstein introduced 4 more (smaller) sizes, the K, L, M and S. The models B-E continued to be built. E Replaced the ‘I’ above – same length but revised style. A 5ft 11″ (182cm) This piano had 85 keys which is not the full 88 keys. III 7ft 8″ (234cm) can vary up to 240cm. A 6ft 1″ (184cm) 1902 – 1930 They are usually found in rosewood or black, earlier ones with turned legs and later with square tapered. The best have a rich, natural and powerful tone. 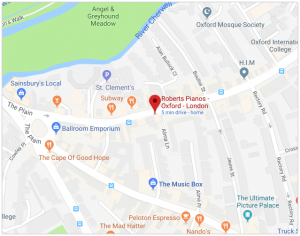 They usually have 85 note keyboards which are fine for nearly all music and for exams to grade 8 though many teachers prefer their pupils to have 88 note pianos. M 5ft 10″ (177cm) 1920 – 1938 Commonly found in mahogany or black occasionally in walnut. Excellent grand piano with rich warm tone and powerful bass. L 5ft 6″ (167cm) 1920 – 1938 Also known as ‘Lilliput’ model. 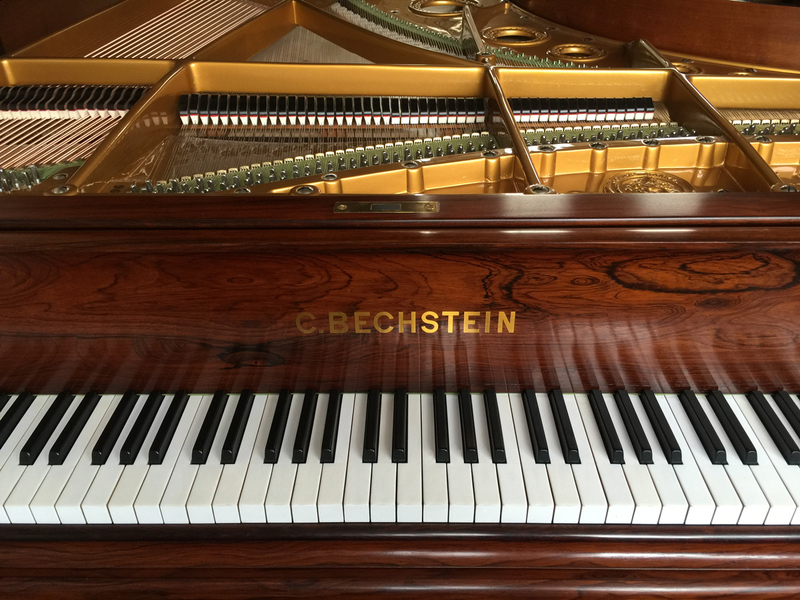 This shorter Bechstein is one of the best baby grands available with a rich tone and good bass for its size. Commonly found in ebony and mahogany. S 4ft 7″ (140cm) The majority are built in Ebonised (black) or Rosewood cabinets, though Burr Walnut is occasionally found. Mahogany is the more standard wood grain found on post-1920s built instruments, though (non-burr) Walnut and Ebonised cabinets are sometimes found. London Bechstein 4ft 9″ Made from about 1920 to 1930 and designed by Max Poser, was thought to have been made by Welmar and has several similarities in construction (information supplied by Alastair Laurence).